You may think Voicemail is a legacy communications approach, yet most businesses still use it as an integral communication avenue within the contact center. VoiceFoundry’s Voicemail for AWS Connect aligns with a standard industry approach for voicemail usage within a contact center. 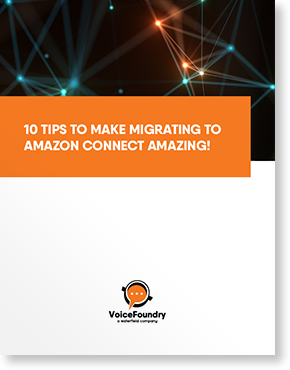 Voicemail for Amazon Connect is a fully functional Voicemail solution that provides agents and supervisors the ability to quickly access voicemail messages from any device, including a desk phone, email, mobile device or desktop application. In addition, notifications are sent to the AWS Connect custom control panel (CCP) or via email as soon as a customer leaves a message. With Voicemail for AWS Connect, agents and supervisors can quickly preview a message, often a more convenient and discreet method than listening to one. When a customer leaves a message it is quickly and automatically transcribed to text and delivered via email or sent to the custom call control panel (CCP) along with the audio file. Agents and supervisors can then read it instead of listening to it, which in today’s business environment is a requirement. 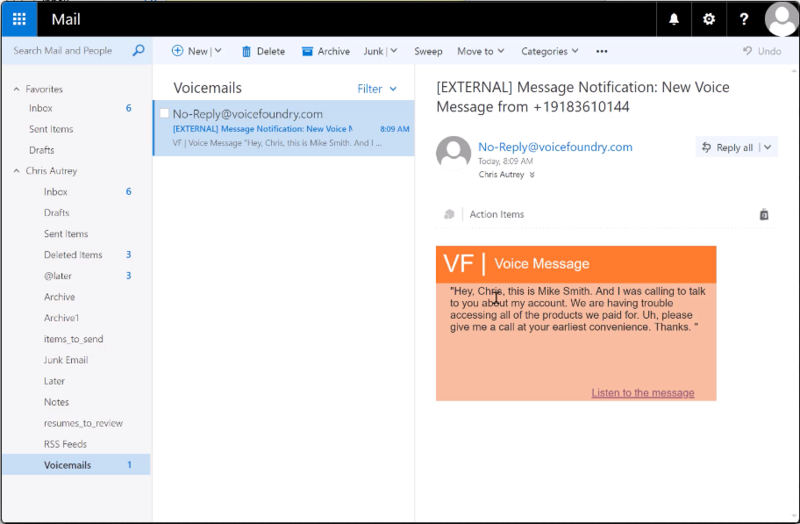 Receive email with transcribed voicemail message within your email client. Click to open the message and view the transcribed voicemail. Click to listen to the audio file, forward the voicemail, delete or make a call back to the customer. 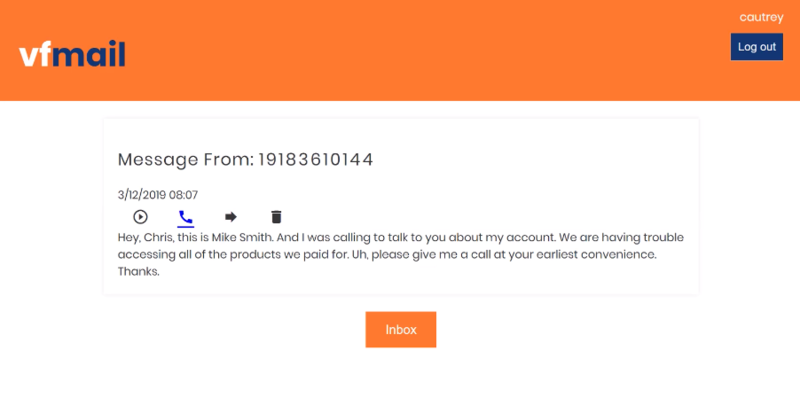 VoiceFoundry Voicemail for AWS Connect, leverages a blend of AWS services including Kinesis Video Streaming (KVS), Transcribe, Lambda and DynamoDB to record, transcribe and deliver the message. The application records the message, stores the captured message in a designated S3 bucket and converts the record to text, which is then delivered via email, webpage or through a custom call control panel (CCP) within AWS Connect. Contact us today for a quick demo!